Ireland and Travel Retail. Midleton Single Pot Still – 1991 Single Cask 48709 Cask Strength available exclusively to Terminal 2 Irish Whiskey Collection Shop in Dublin Airport. Midleton Single Pot Still – 1996 Single Cask 71578 available exclusively to Celtic Whiskey Shop on Dublin’s Dawson Street. Price – Midleton Single Pot Still – 1991 Single Cask 48709 Cask Strength retails at EUR260 (US$349) per 70cl bottle. 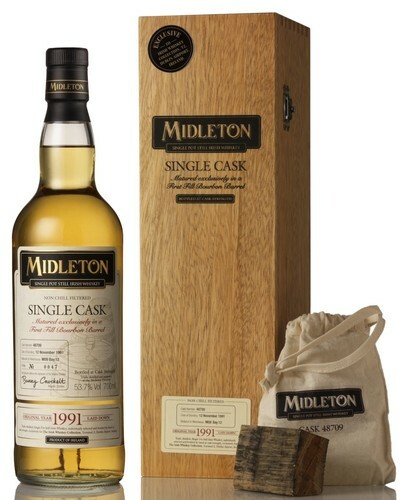 Midleton Single Pot Still – 1996 Single Cask 71578 retails at EUR225 for 70cl.